US Navy Orders Five More MQ-8C Fire Scouts » UAV DACH e.V. The U.S. Navy has awarded Northrop Grumman a contract for five additional MQ-8C Fire Scout unmanned helicopters. Northrop Grumman Systems Corp., was awarded $55, million for modification to a previously awarded contract. This modification provides for the procurement of five MQ-8C Fire Scout unmanned air systems and two lightweight fuel cells. Work is expected to be completed in August 2021. 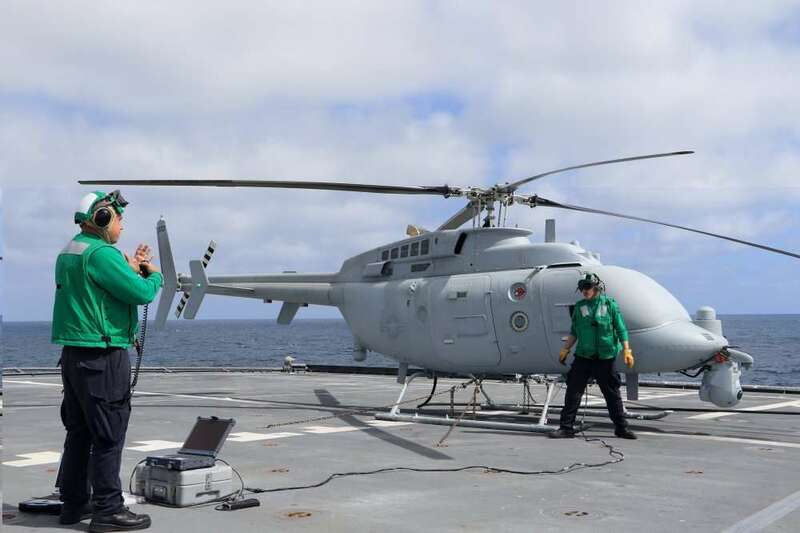 UAV DACH: Beitrag im Original auf https://www.uasvision.com/2019/02/05/us-navy-orders-five-more-mq-8c-fire-scouts/, mit freundlicher Genehmigung von UAS Vision automatisch importiert. Der Beitrag gibt nicht unbedingt die Meinung oder Position des UAV DACH e.V. wieder. Das Original ist in englischer Sprache.